“GOT” fans, prepare to freak out! This is a little darker than a fairy tale, and maybe cheating since it’s a TV show, but dang, look at that bloody baroque cake. 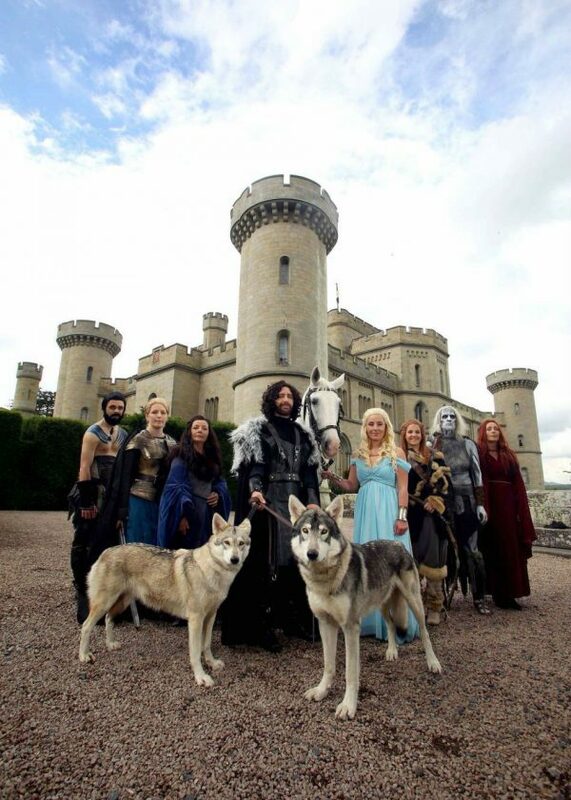 And those regal wolf dogs (we hope they were the ring-bearers). Would you and bae rock Khaleesi and Jon Snow for your own fantasy wedding?